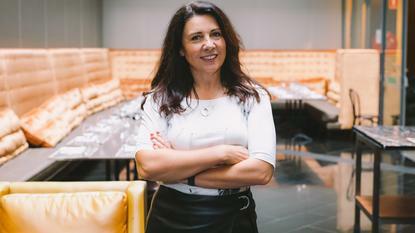 eHarmony’s former managing director, Nicole McInnes, has taken up the inaugural marketing leader’s chair at media telco startup, OVO. OVO provides a range of mobile phone plans to Australian consumers matched with data-free allowances across its own digital content platform, OVOplay. The group launched in 2016 and is positioning itself as a new type of hybrid telco/media offering, tapping into the Optus 4G network to deliver services and content. McInnes is the company’s first c-level appointment and first marketing chief. Most recently, she spent seven months as marketing director of WooliesX. Prior to this, McInnes was the local marketing director for eHarmony for 18 months. Her resume also includes marketing executive roles with Pandora and Adshel. “The day of the telco becoming the broadcaster has been a long time coming. OVO knows it, and is ahead of both industries in making it happen," McInnes said in a statement announcing her appointment. McInnes said she joins OVO as it prepares to debut its patented machine-learning video platform. Her priority list also includes ramping up both the brand’s mobile business and exclusive digital sports and entertainment content partnerships. To date, OVO said it’s amassed more than 20,000 hours of unique content across sport and entertainment including e-sports, gymnastics, motorsport, sailing and Triple M and HIT radio currently available on OVOPlay. The intention is to build out this library of content as it rolls out its AI-driven video delivery platform over the coming months. The company also claims 60,000 mobile subscribers. OVO CEO, Matt Jones, said he’d known McInnes for years and was keen to get her on-board. “It was her experience inspiring consumers on behalf of digital native companies that were pioneering machine learning algorithms, that convinced me she was right for OVO,” he said.